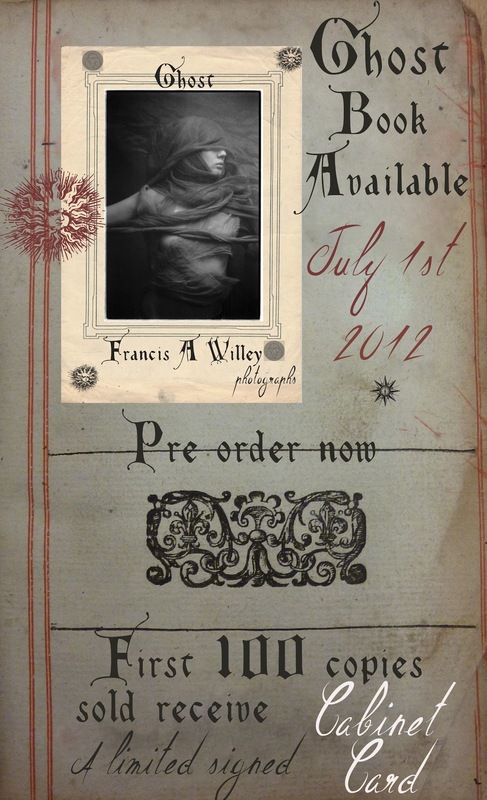 GHOST-Francis A Willey (Photographs) is Officially available for Pre-sale. Canadian artist Francis A Willey, A film Photographer, Piano Composer and Poet presents his first published book of ethereal images. 'Ghost' is his photographic journey into the psyche and soul and shroud of humankind. Through his own personal experiences with these rare spectres, powerful deities or phantoms or angelic drifters. Mr. Willey decided to create a series of quiesent entities he calls GHOST. Mysterious and moving moments of the outerworldly, interpreted with fabric, poetry, light and photographic film all in camera. 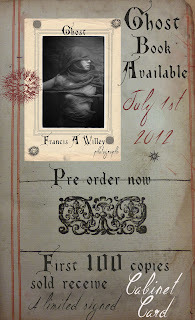 **Pre-Order now and the first 100 buyers receive a Limited signed Cabinet Card-Created By Francis.